Answering the demand for alternatives to soft drink, H2Coco is now selling five different 200ml coconut and melon waters, two of which have been specially designed for children. Founder and Chief Executive Officer of H2Coco, David Freeman, said the range was developed with Woolworths supermarkets. 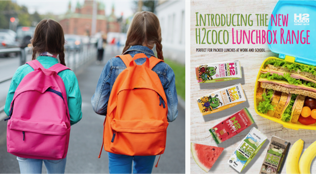 “Formulating the lunchbox range keeps the health-conscious consumer in mind whilst producing the fun, nutritious flavours the H2coco brand is known for,” Freeman said. The lunchbox range is available in packs of three with a recommended retail price of AUD $4.50 for the coconut water options. The melon drinks have a recommended retail price of AUD $4.70 for the three pack. Flavours available in the range include coconut water, melon water, cocoespresso coconut water and the child friendly wildberry coconut water and troperiffic coconut water. Woolworths is already stocking the range and Coles will be a stockist from October 2017.